Item#: P4687 Closeout! Price Drop! 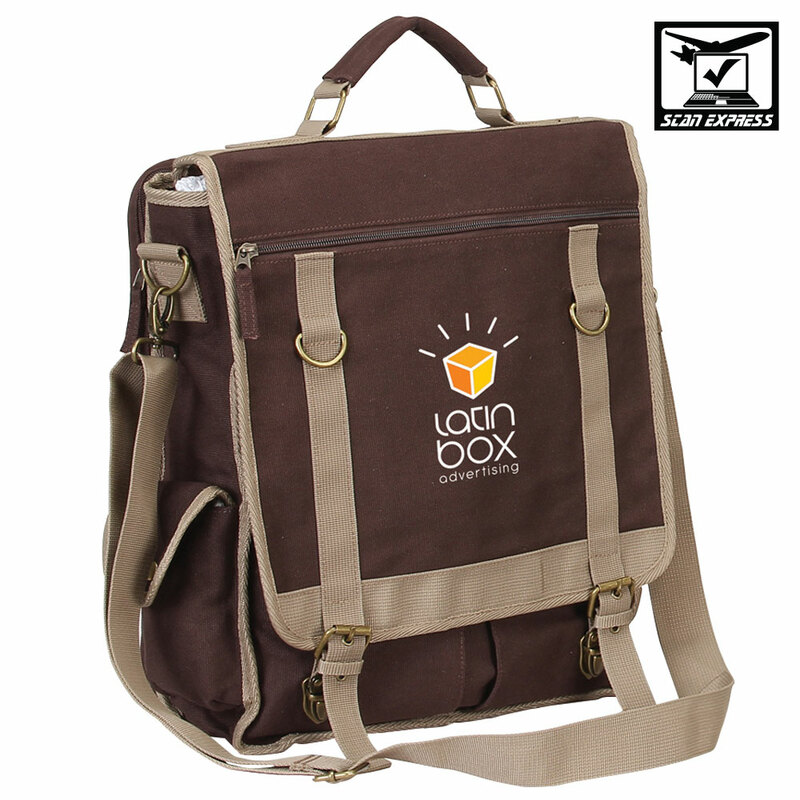 Made of 16 oz canvas, this vertical canvas brief is both stylish and practical. 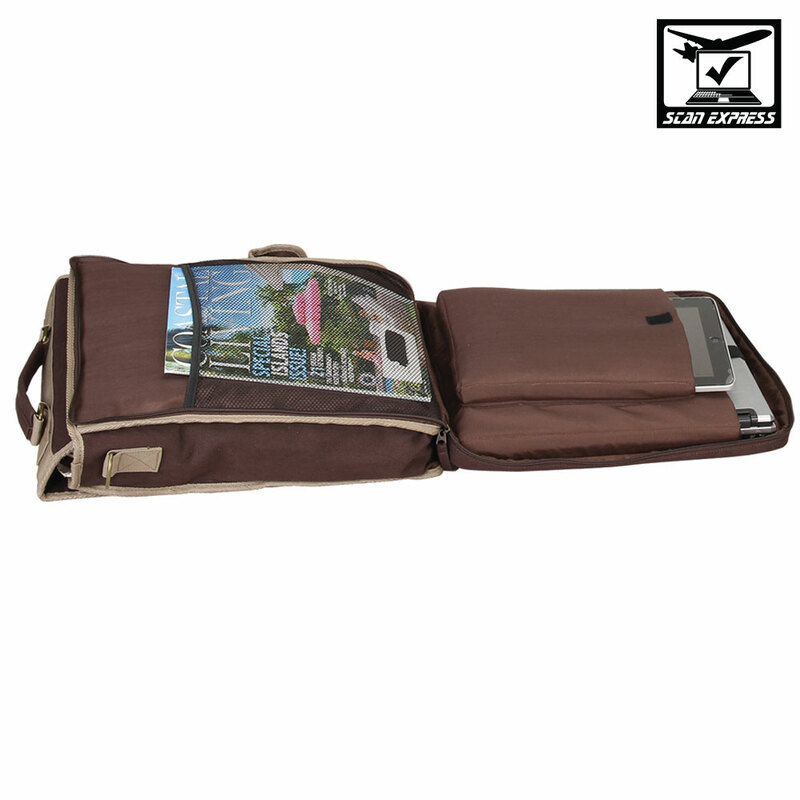 Filled with functional features including a spacious main compartment with zip-pocket inside and open pockets on the front panel with organizers for business accessories. The TSA-friendly compartment in back secures a 15” laptop, has a piggyback padded tablet. The flap-over design features dual straps decorated with rings and secured by a push lock system. A reinforced top handle and detachable shoulder strap compliment its modern design. Pack Info. : 12 pcs / 28.00 lbs. Pack Note: (Dimension Weight) / 26 lbs. (Actual Weight) / 18" x 17" x 15"